The Fletcher FM-240 Double End Tenoner is compact and was built for kitchen cabinet door parts. Capable of over 60 parts per minute, parts are placed in a hopper as delrin dogs pull the parts through the machine and act as backer blocks to prevent potential blow out. 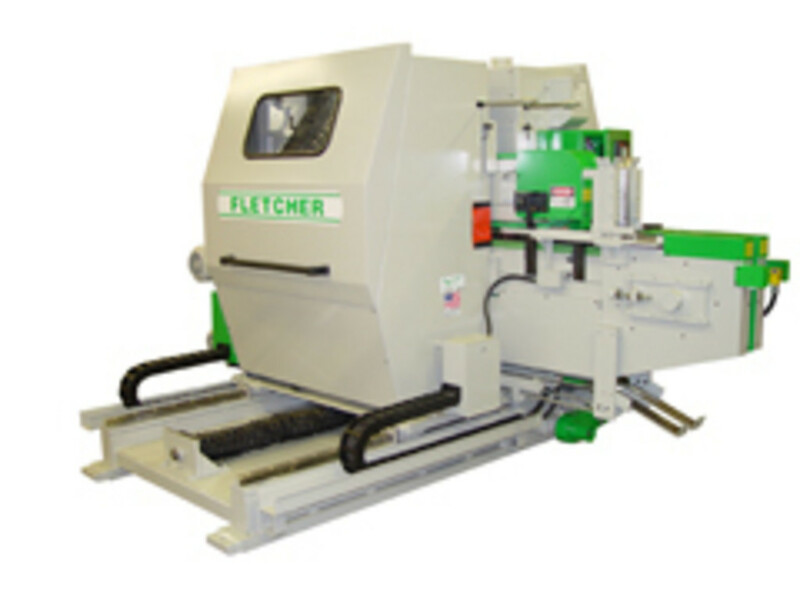 The machine incorporates all of the best features found on the largest of Fletcher Double End Tenoners. Electronic drive shaft, ball screw opening and closing at 3" per second, remote spindle for less vibration and smaller tooling, environmental enclosures for noise reduction and safety.